Organised by IPI and held from 18 to 19 September at Marina Bay Sands, TechInnovation’s Crowdsourcing sessions bring together a group of speakers from leading-edge companies, featuring Yip Mann-Fai, General Manager of the Singapore Innovation Hub at United Technologies Corporation (UTC) Climate, Controls & Security, and OTIS; Dr Shin Fujita, General Manager at Shimadzu’s Asia Pacific Innovation Centre; Claus Nehmzow, head of BP’s Digital Innovation Organisation in Asia Pacific; and Dr Stefan Jakob, Global R&D Director of Nutrition and Animal Health at Adisseo. These speakers will share their ideas, challenges, and opportunities to potential partners and collaborators, inviting them to co-develop new innovative solutions. Yip Mann-Fai is a firm believer in open innovation and collaboration and says that innovation is essential to a company’s long-term sustainability. Before joining UTC – the global aerospace and building solutions firm listed on the New York Stock Exchange – in May, he spearheaded the Open Innovation Platform at Singapore’s Infocomm Media Development Authority (IMDA). The four-year stint allowed Yip to appreciate the importance of partnerships between large organisations and external tech talents and expertise. He is a first-time presenter at TechInnovation’s Crowdsourcing session, to be held on Day 1 of the event. Another innovation is the UTC’s Center for Intelligent Buildings, a first-of-its-kind technology, innovation and collaboration center showcasing United Technologies’ products and integrated systems. Shimadzu, a global leader in analytical instruments, hopes to collaborate with academia and industry partners. One of their first collaborations in Singapore is with the National University of Singapore (NUS) Environmental Research Institute (NERI), which had invented a new phosphate sensor for water quality monitoring. “Together, we will transform this invention into compact and low-cost nutrient probes that can be deployed in the field,” said Dr Shin Fujita. “The probes are highly demanded for combating algal blooms that release toxic compounds into water reservoirs, making our drinking water safer. Also read: Why do collaboration startups have such high valuations? Claus Nehmzow said he enjoys working with start-ups as “they can drive innovation much faster than we could internally and are often venture capital financed”. He joined BP in April 2014 after moving to Singapore from Hong Kong, where he ran his own start-up business. His prior background is mostly in management and technology consulting. BP is actively pursuing the latest digital technologies to improve its advantage within the energy space. “Blockchain will help to connect different trading partners, using an independent technology to delegate trust and increase inefficiencies in the process,” he said. On top of blockchain, BP is also looking at quantum computing and quantum sensors, artificial intelligence and machine learning, and robotics. “One of the projects we are doing in Singapore is to explore the inspection of the inside cargo tanks of oil and gas tankers via drones. This will eventually eliminate the need for scaffolding and rope access, and improve efficiency and health and safety,” Nehmzow explained. One of Adisseo’s significant projects is a successful partnership with Novozymes, the world leader in biological solutions, to launch Alterion, a unique probiotic for poultry. Alterion has been developed from a unique strain of Bacillus subtilis, a naturally occurring bacterium found in soil. Added to feed, it allows farmers to better control gut health of their animals, it limits development of unwanted bacteria in the animal’s digestive tract, and it optimises feed conversion, meaning less feed consumed to raise an animal. “We are convinced that the big leaps in innovation are coming from technology transfer, bringing together different industries which are at the first sight of view not connected to each other,” said Dr Stefan Jakob. “Moreover, breakthrough innovation is often coming from start-ups or smaller-sized companies, with which Adisseo likes to connect and foster an atmosphere of innovation for them and grow together with them,” Jakob added. Meet these speakers and more at TechInnovation 2018. Register today. 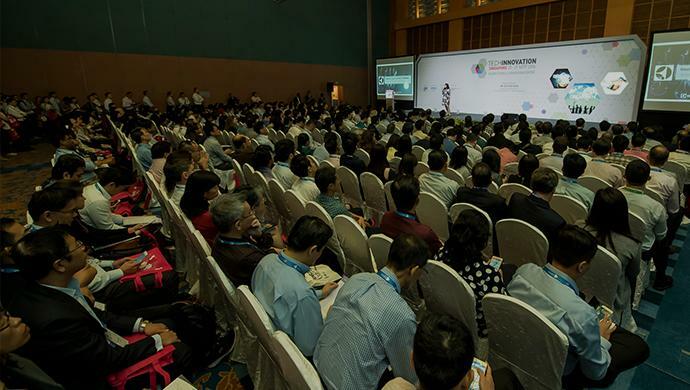 TechInnovation is a partner event of the Singapore Week of Innovation & TeCHnology (SWITCH) 2018. The post The key to sustainability is collaboration through open innovation appeared first on e27.